Inaugurated in April 1956 under the hand of Colombian sculptor Rómulo Rozo, the Monumento a la Patria has been part of this city for more than 60 years, and its presence has been a fundamental piece in the lives of the people of Mérida ever since. An important tourist attraction and everyday crossroad for many Yucatecans, this monument brings hundreds of people together, who give life to the hustle and bustle that is part of this important glorieta. 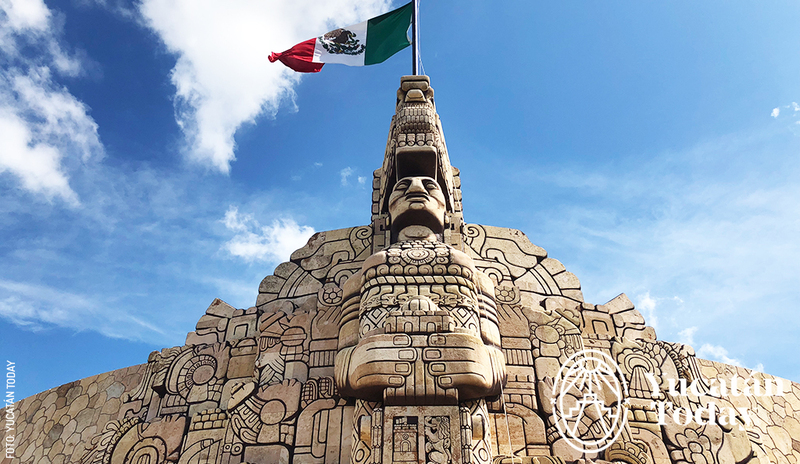 When you visit it, you will notice that there are more than 300 hand carved figures, that tell the story of México from the establishment of Tenochtitlán to the mid 20th century. 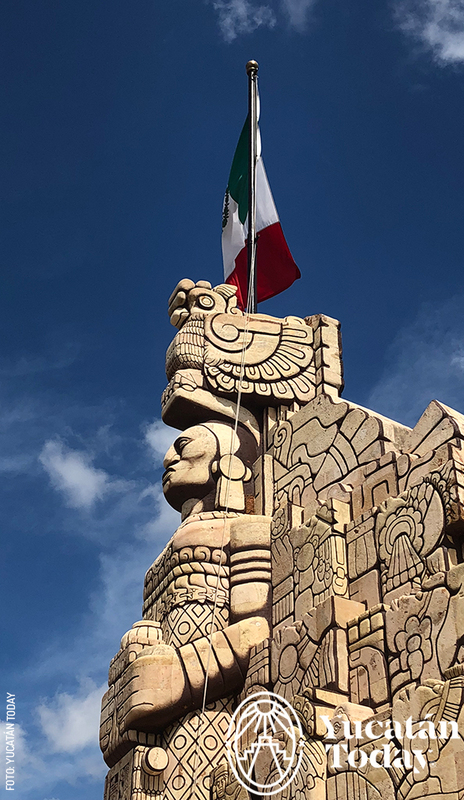 You can find too, in the façades of the monument, figures that allude to the Maya culture, like a Chacmool, a ceiba tree surrounded by butterflies and jaguars, and the city’s shield. This is the reason why this monolith is an obligatory stop for tourists, and a priceless treasure for the people of Mérida. Here is where we have the pleasure of admiring this amazing work, and witnessing the retelling of México’s history, as well as the skill of those who brought this piece to life. Moreover, for many Yucatecans, it represents more than an architectural marvel. The Monumento a la Patria embodies the nostalgia among the older generations, because it has become an important part of our daily life; during Carnival, it was the best spot to admire the parade floats and to catch, in-flight, the best candy; also, every Saturday we went on outings with our parents to the supermarket that used to be in a plaza on the roundabout. It also kept us company while buying tamales on Friday nights right outside the Panificadora Montejo bakery. Today, the activities that take place around the Monumento a la Patria have been changing through the years, and the current generations enjoy it in a different way. Each Sunday during “Bici-Ruta”, we can get up close and enjoy the amazing carvings that tell us about the history of México, made so skillfully so long ago, and the beautiful views of Paseo de Montejo. Thanks to the help of the Municipal Police, we can cross the street safely, and locals and tourists are able to freely photograph one of the biggest icons in the city of Mérida as an eternal keepsake. Regardless of the generation we belong to, or the era in which we live, for many decades we will have the opportunity to enjoy the enormous figure of the Monumento a la Patria, on display at the top end of Paseo de Montejo. Rediscover the history of this country, which you’ll find engraved in the stone of this magnificent landmark.